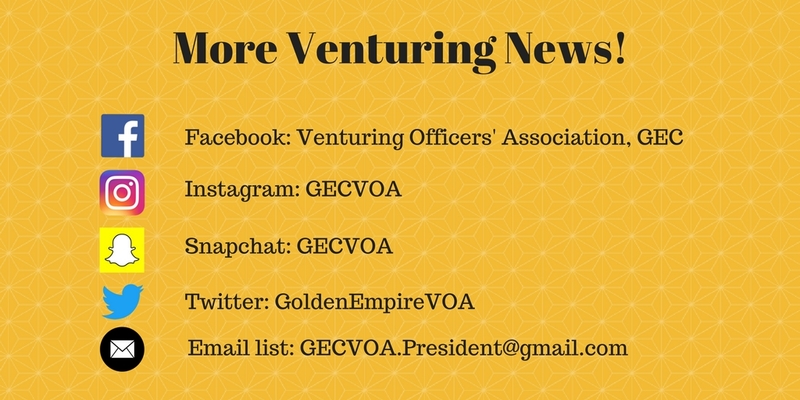 Don't miss out on Venturing events! 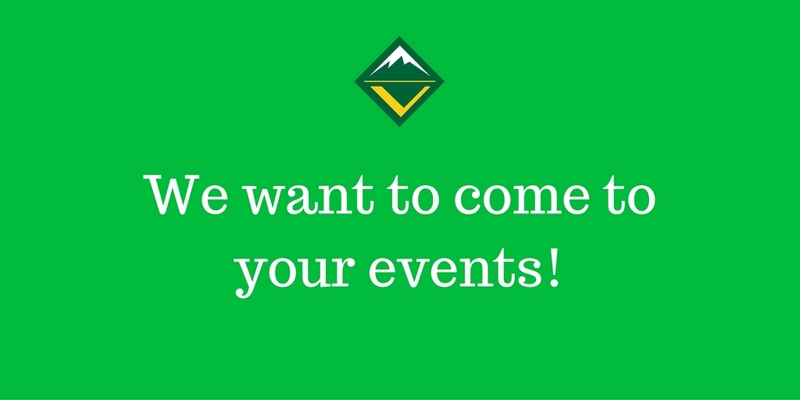 Click here to join the GEC communications list. 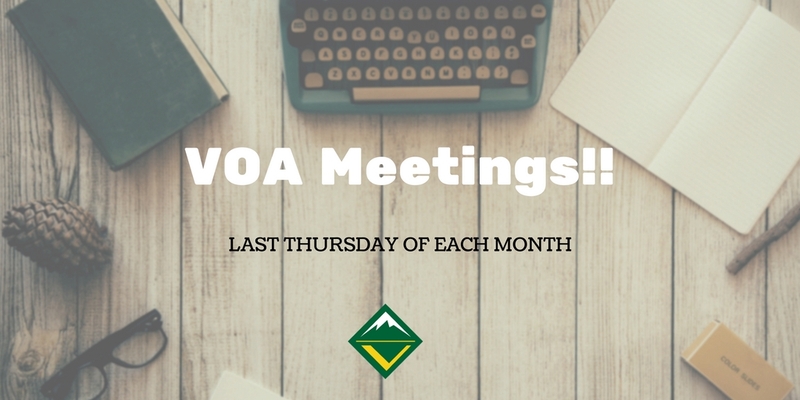 All Crew Presidents and anyone interested in the VOA is invited to join us at the next VOA meeting with Venturers from around the Council, where you will vote on VOA business, share a Crew update, and more. 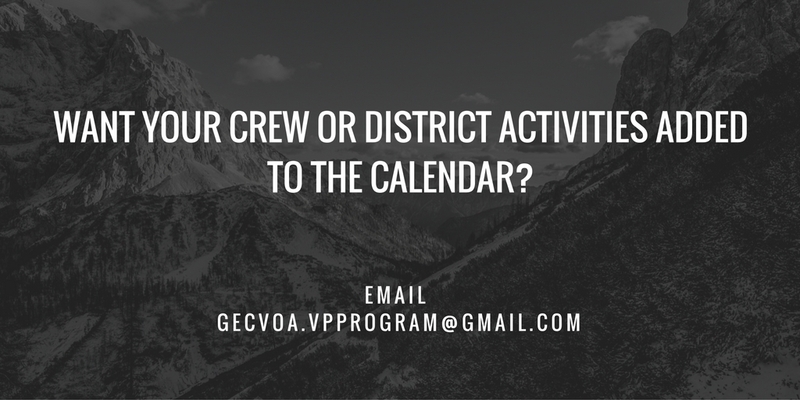 The VOA would love to come to your Crew's events, activities, and trainings! We are here to support your crew in any way possible and can help with trainings and planning, or can come just to hang out! Please fill out the event attendance request form here.